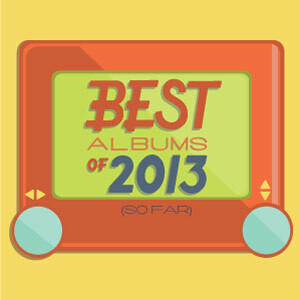 The Best Albums of 2013!! As the year is coming to an end, here is our list of the best albums to come out this year. There were a lot of great albums released this year. Some of which I still listen to on a daily basis. We mention everything from ‘Vampire Weekend’ to ‘Black Joe Lewis‘ to even the ‘Drive‘ soundtrack. Please let us know what your besst of list is for albums released this year. Enjoy the show. This entry was posted on Friday, December 13th, 2013 at 2:58 pm	and is filed under Music, News, Podcast. You can follow any responses to this entry through the RSS 2.0 feed. You can skip to the end and leave a response. Pinging is currently not allowed. Kanye West = worst album of 2013. « December 2013 Movies To Look Out For! !